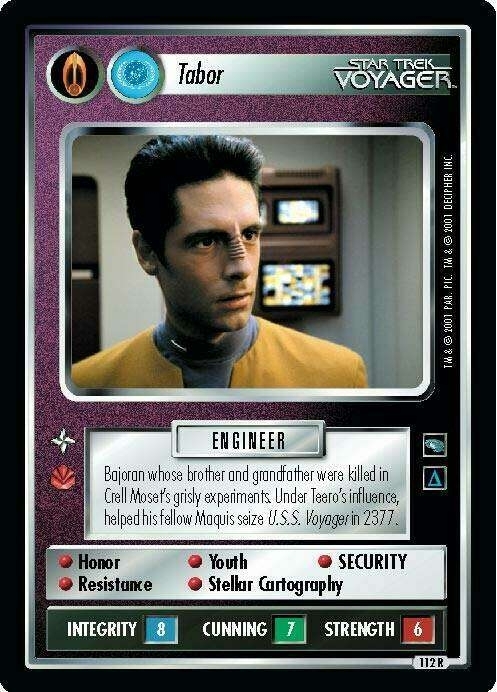 Characteristics: affiliation, affiliation, Maquis , Resistance, Bajoran species. There are 30 entries for Tabor (ST1E 12 R 112) at the Tradeplace (19 haves and 19 wants). Click here to see all trade list entries for this Rare card! Also see here for all trade lists with any card fom "Voyager".